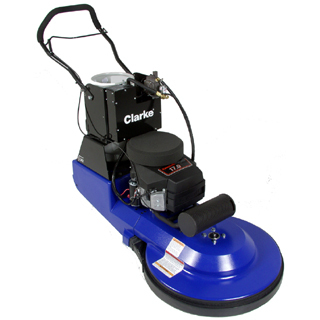 The CLARKE-ALTO 27PROPANE BURN is a propane powered floor burnisher. This unit has a flexible pad driver that accommodates any surface and the most uneven floors get a smooth finish. The CLARKE-ALTO 27PROPANE BURN has an ergonomic adjustable handle giving the operator a better comfort level allowing for less fatigue and longer use of the unit.